Home / Le blog / " On y Va ": "Off" to rest on "One"!
" On y Va ": "Off" to rest on "One"! 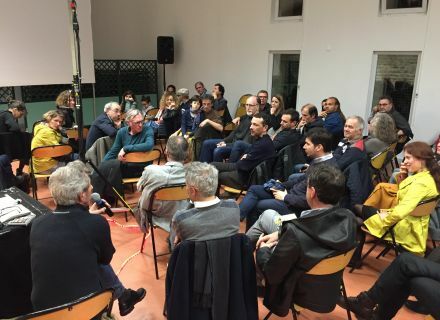 Return on " On y Va ", young association created at the beginning of the year, which proposed in Niort, outside the Meetings of the young international photography, the end of March at the beginning of April, its first event " Passe vues ". In complementarity of the association " Pour l'Instant " and the Contemporary Arts Center and Photograph - The Villa Pérochon, " On y Va " dashes for challenge to be interested in the photographers by (from Niort to the Nouvelle-Aquitaine), to promote the photography with a wide public, the creation in the distribution via the training; this group of " makers of images " also wishes to open it widely to the artistic and cultural multidisciplinarity.
" Passe vues ", they are audiovisual outdoor projections, meetings between a photographer and a public baptized " The Transversales " and the " Café photo ", place of debates. So, for 2017, the association had concocted a "inaugural" projection dedicated to the " photographers by " and at the presentation in preview of the work of the photographer Alexandre Giraud and of the writer Fabien Bonnet, co-authors of " Niort, hundred places, two looks " to publish on May 11th of this year to Geste éditions. Then, at the heart of the demonstration, the sum of pictures, taken with a mobile phone or a small digital device during six photographic walks in the city, was transposed in the form of broadcasting. This projection was followed by the unveiling of the work of Gasp, a group follower of the " street photography ", on its city wanderings in Niort. 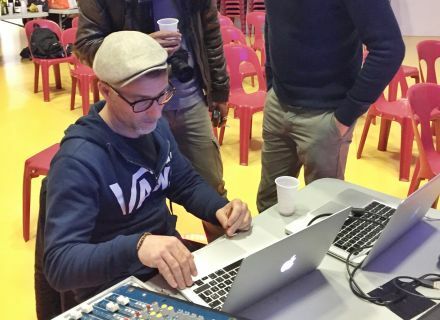 In fence, The " Café photo " was multicultural: meeting with Sébastien Laval of Poitiers who evoked Vietnam and its book " Hué, the city of stones which cry "and" Adèle's Delight ", a room of theater played by a troop of high school students. contact Michel Paradinas to 06.85.21.26.83. 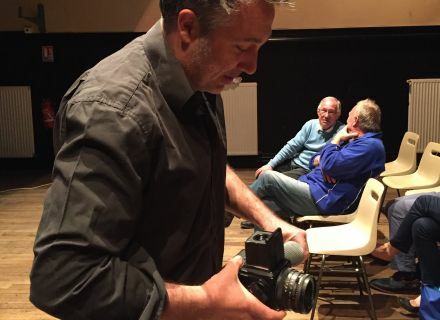 Legend of photos: evening with Fabien Bonnet and Alexandre Giraud; evening Gasp with Cyril Abad, Marcel Marko and Denis Meyer and an evening with Sébastien Laval on Vietnam.